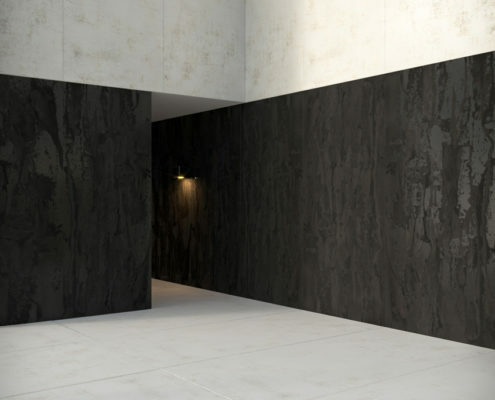 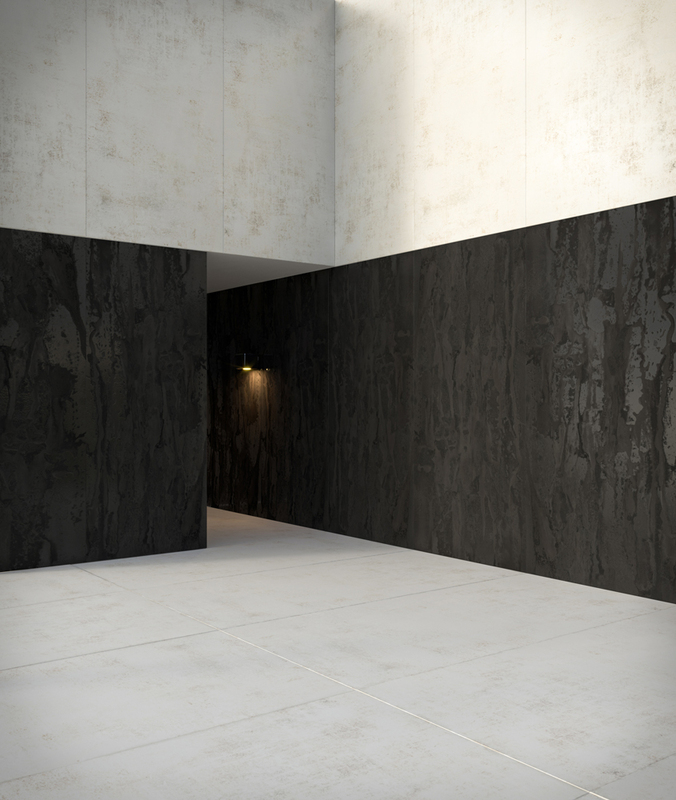 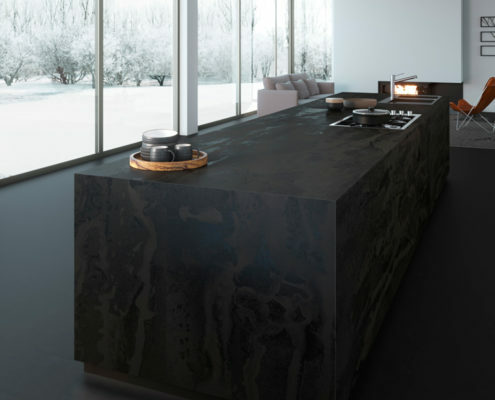 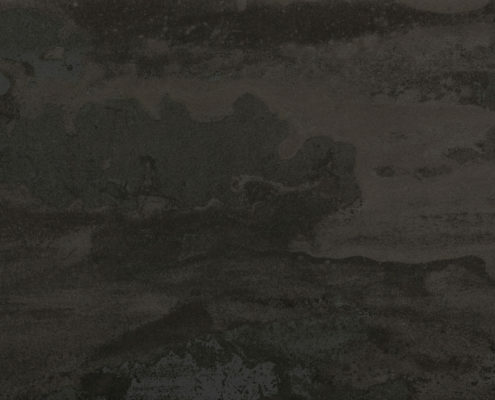 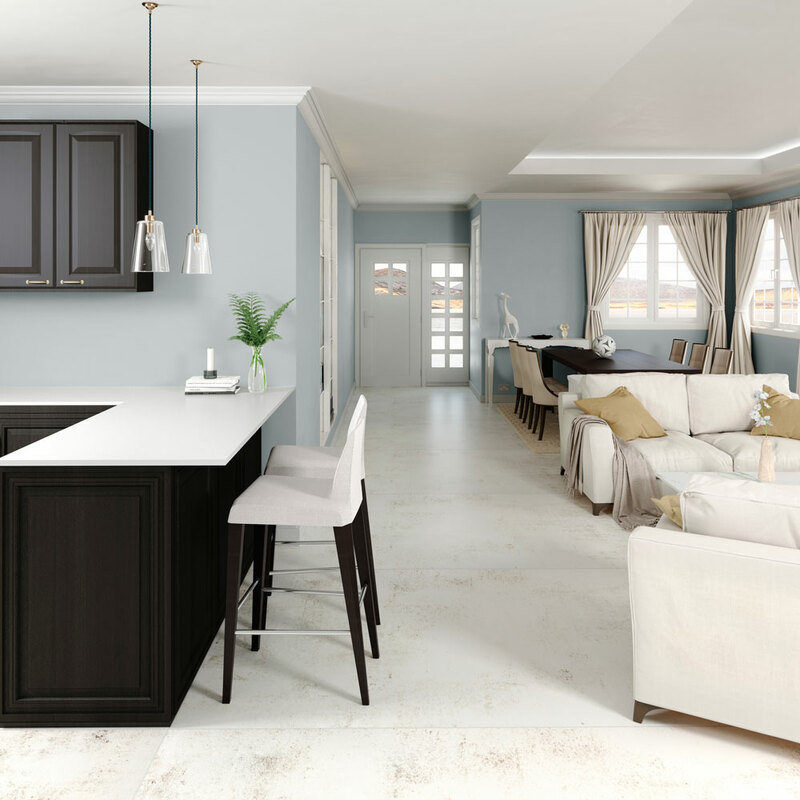 Dekton® Trilium offers a mixture of colours inspired by volcanic rock, with intense accents of black and grey. 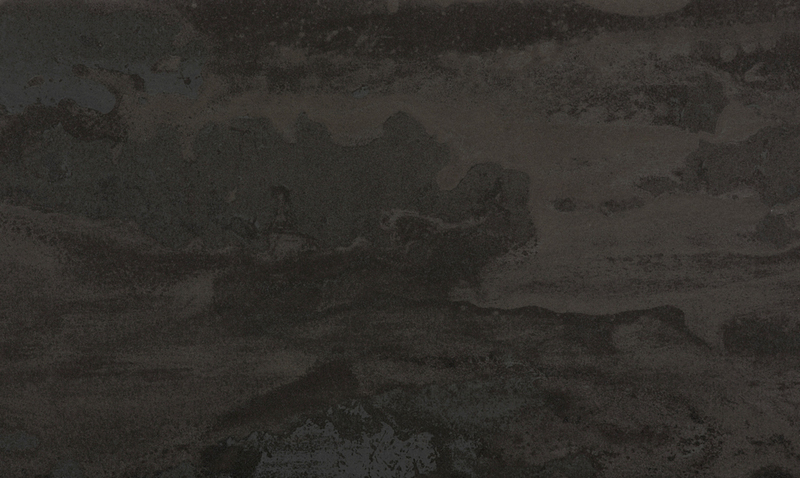 Made using up to 80% recycled materials, Trilium was created in 2016, becoming the first ecological Dekton® colour. 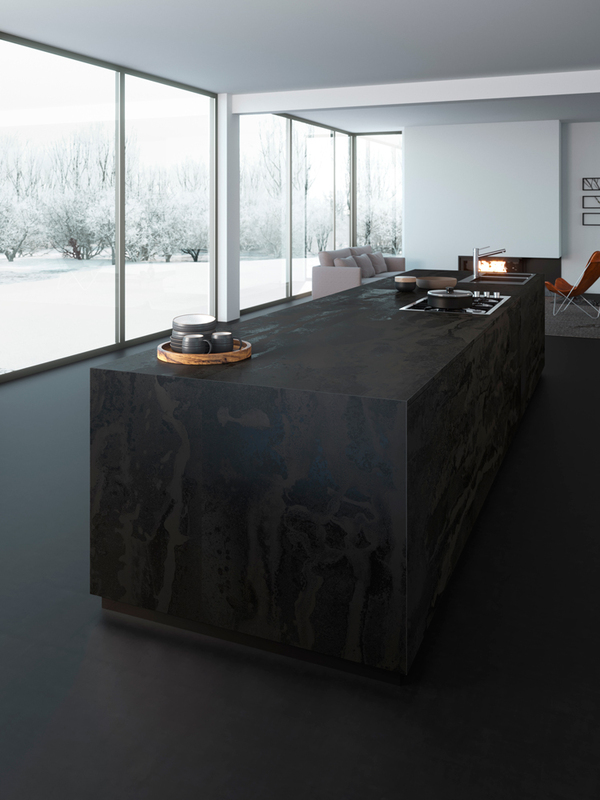 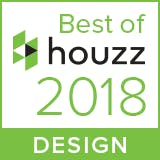 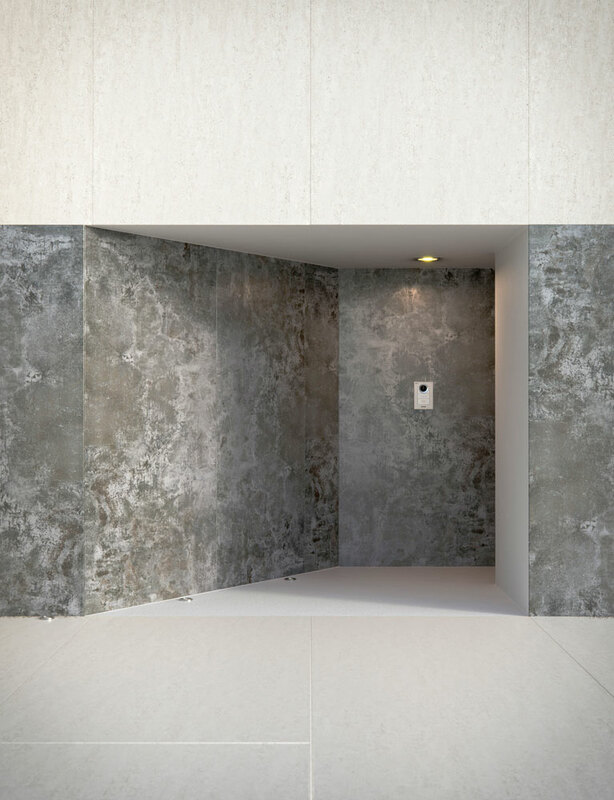 During its first year of existence, Dekton® Trilium received a great deal of recognition from industry magazines and publications, including the Fuera de Serie de Expansión (Spain) Design and Innovation Prize 2016; the Interior Design (USA) Best of the Year Prize 2016, and the Architectural Record (USA) Product of the Year Prize 2016. 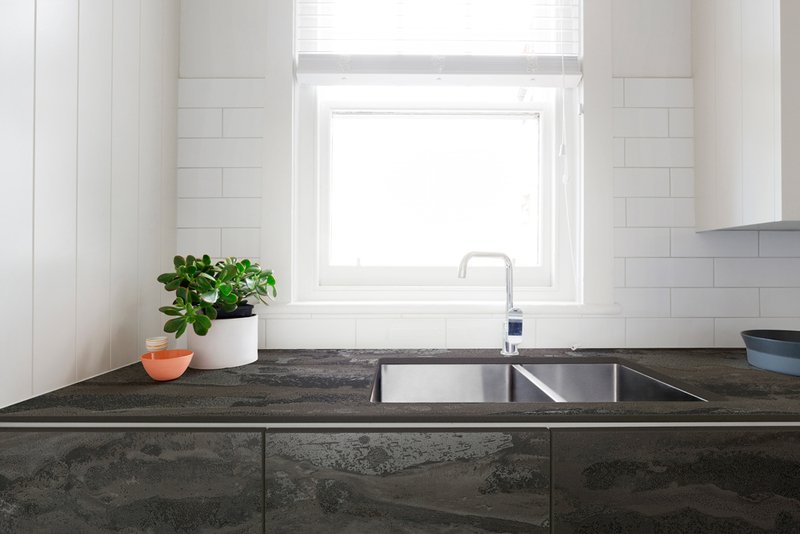 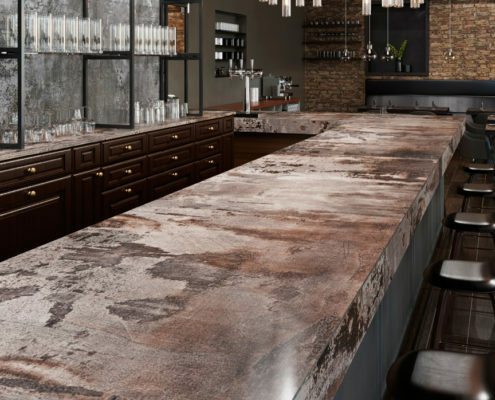 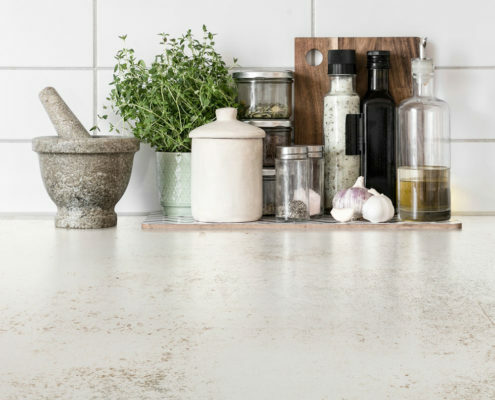 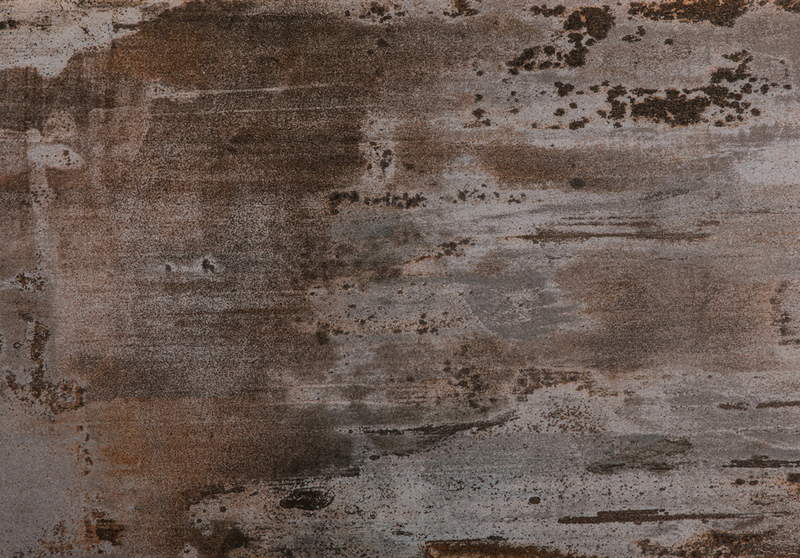 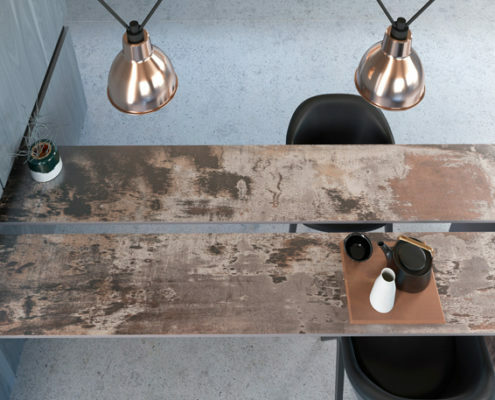 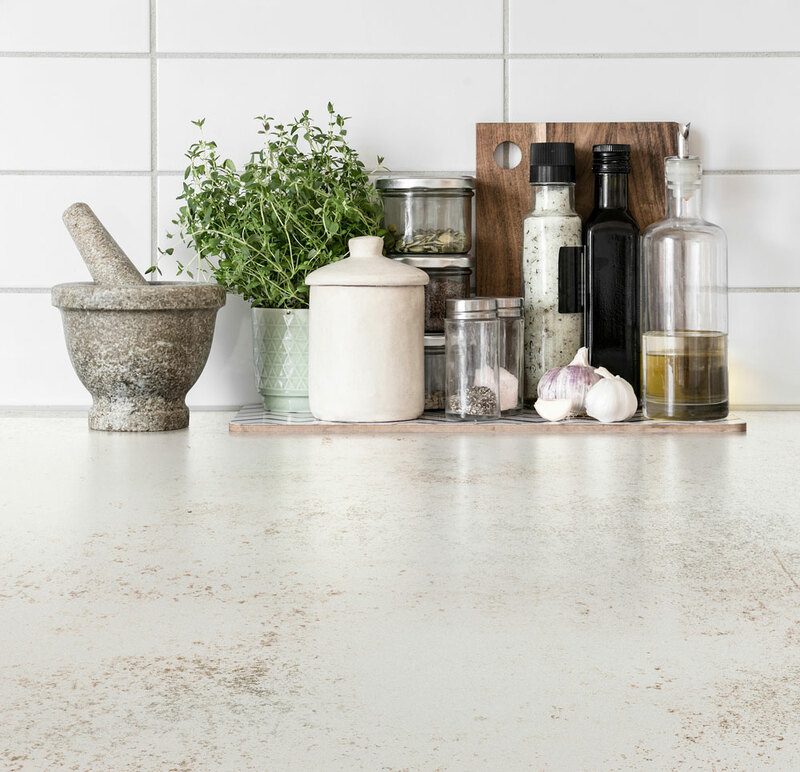 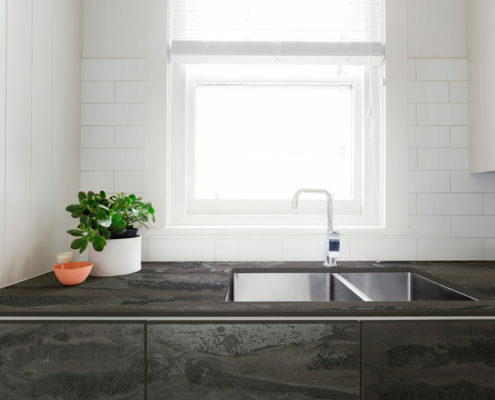 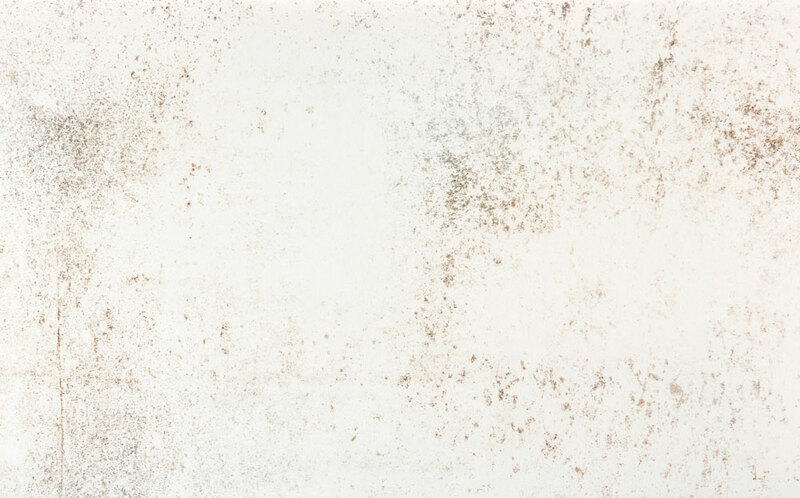 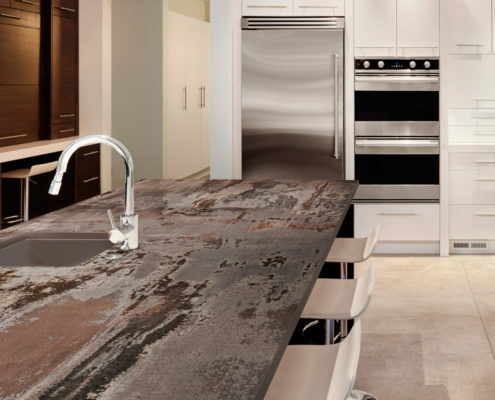 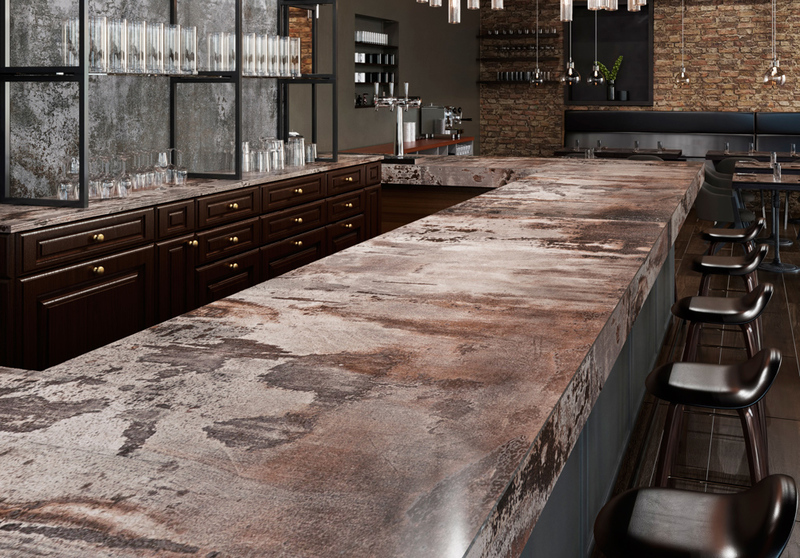 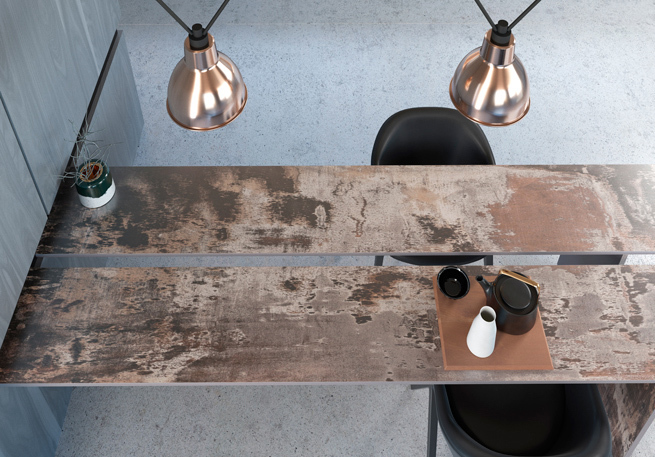 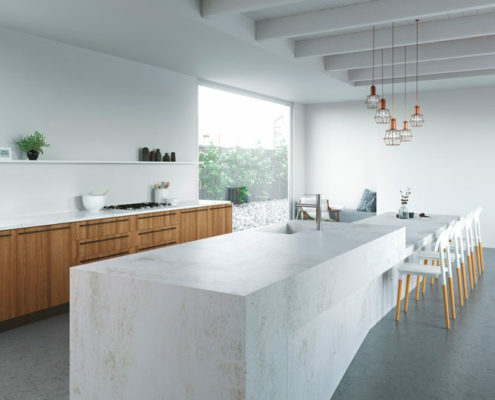 Dekton® Radium represents a sheet of rusted, acid-washed steel, creating a look that perfectly combines the warm expression of orangey brown tones with the coldness of blue and green hues. 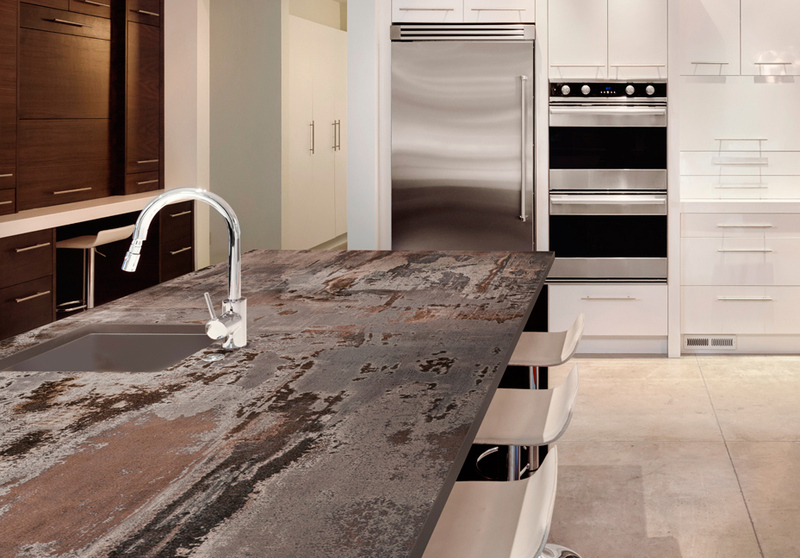 Made using sustainable production methods, Dekton® Radium is manufactured using 80% recycled material. 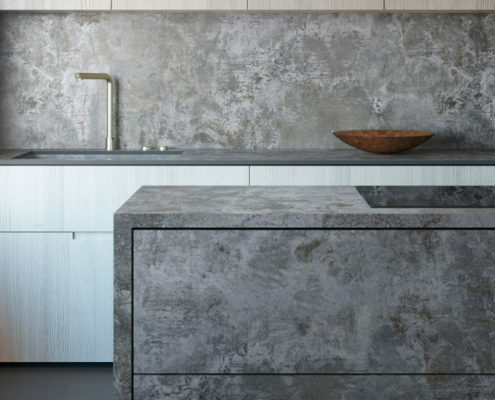 Dekton® Nilium forms the minimalist element of the Industrial colour collection. 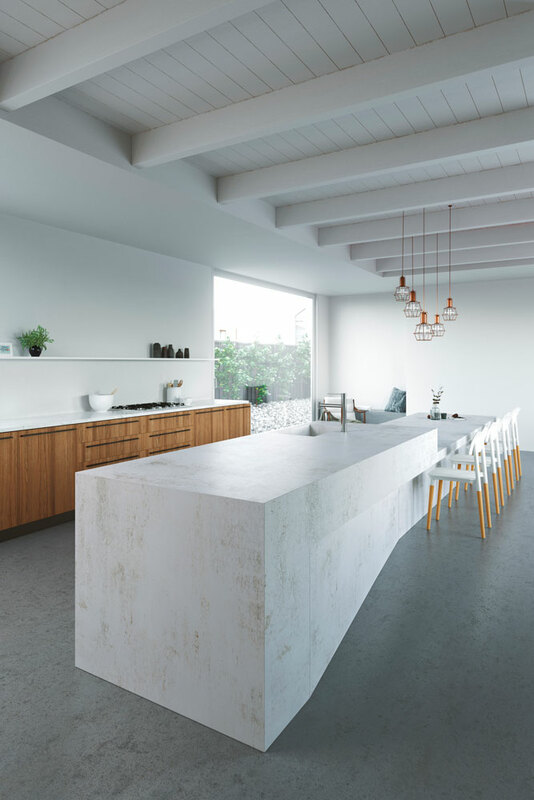 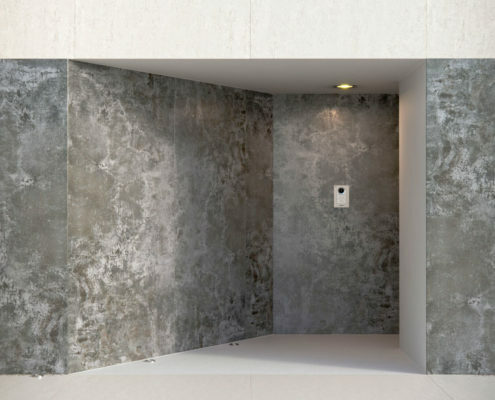 Inspired by metal, Dekton® Nilium offers a subtle blend of silver and white colours. 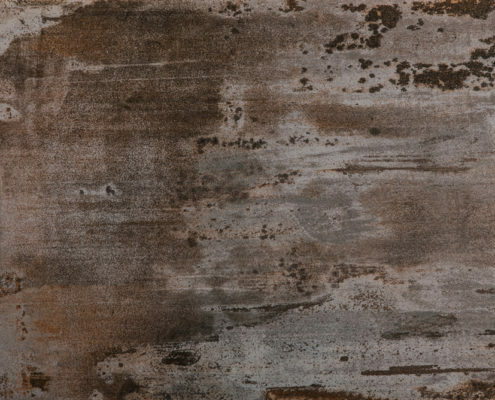 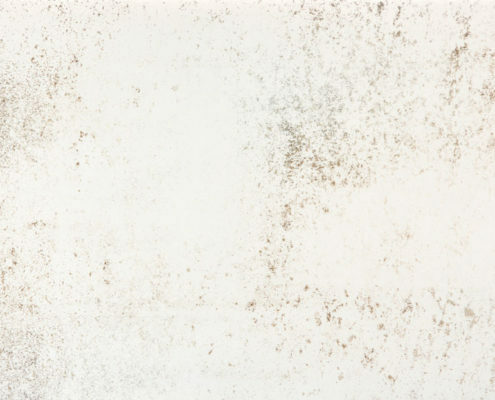 The delicate appearance of warm colours represents the beginning of the oxidation process. 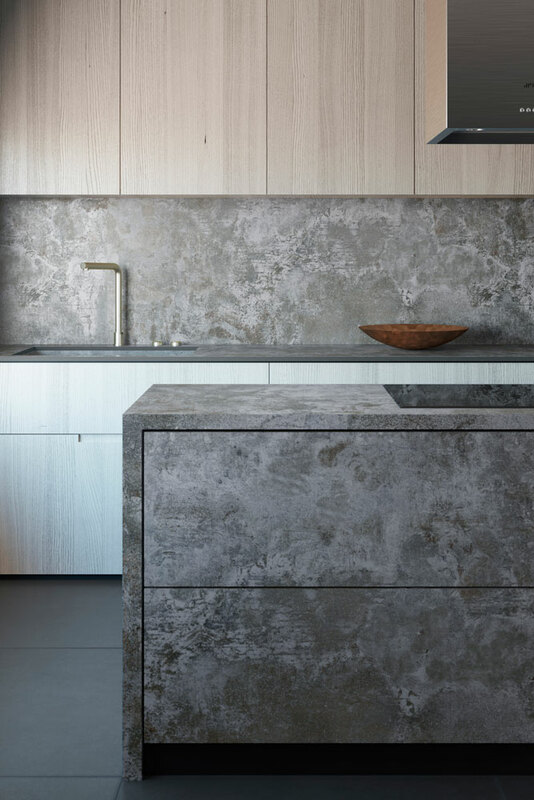 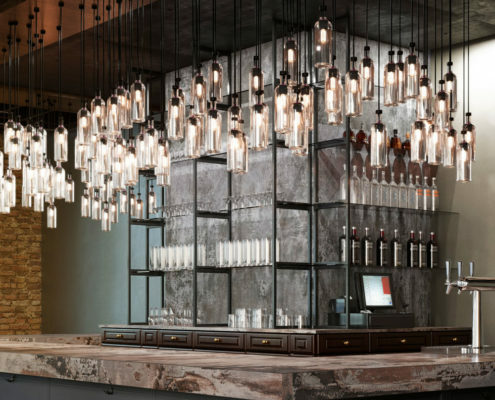 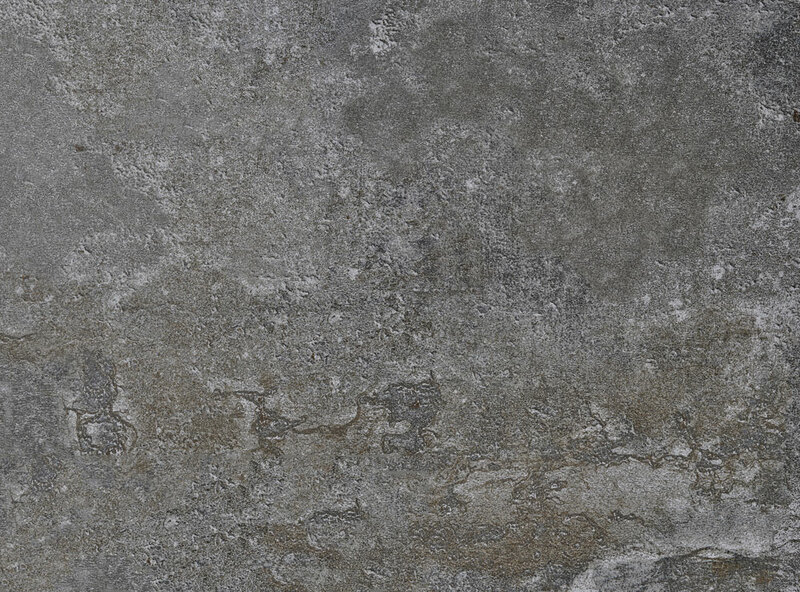 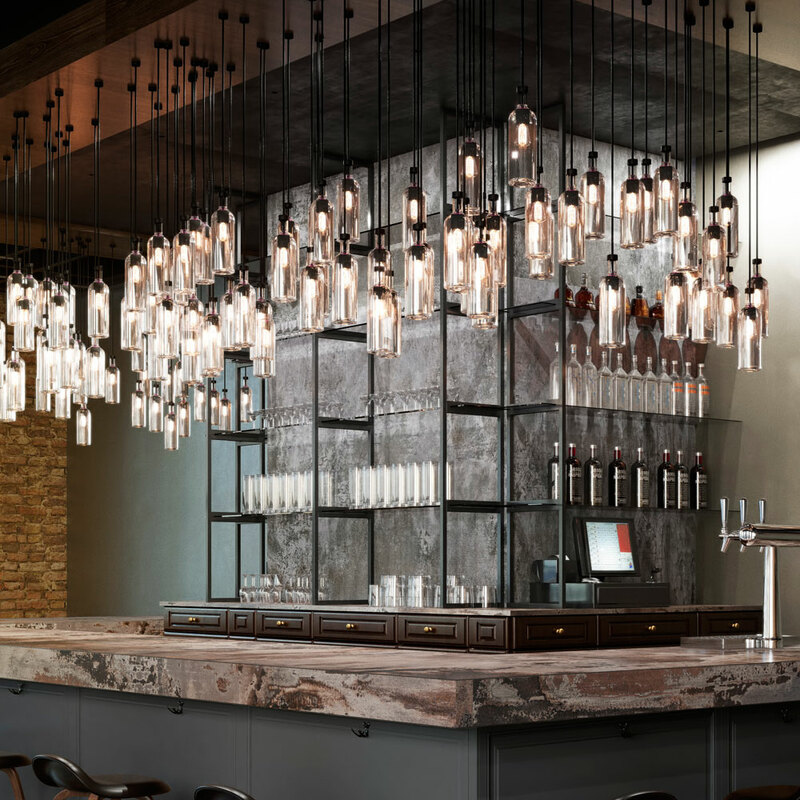 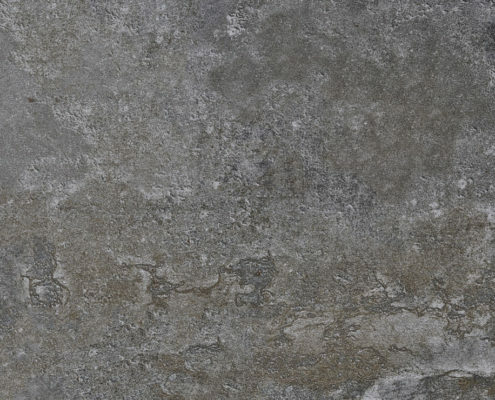 Dekton® Orix takes inspiration from eroded cement; an industrial appearance characterized as being steely, cold and broken. 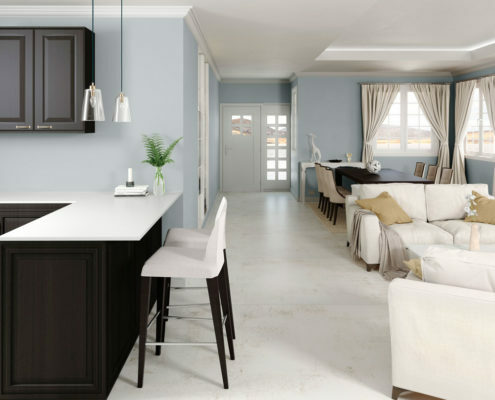 Representing a dichotomy between the old and the new, the colour combination is based on different tones of grey, blue and green.